Our voices contribute greatly to our ability to influence others. Think of the time you’ve spent preparing a speech/talk and rehearsing what you were going to say in a meeting with a client or group. Then consider the time you’ve spent making sure your voice was ready to convey your message. Chances are your energy spent in preparation was out of proportion with the energy spent in rehearsal of your delivery that would really leave someone with a lasting impression of you. Your voice is a business tool you use every day to communicate credibility, professionalism and enthusiasm. It is the supreme asset which can be trained and polished to help you improve profits and visibility to achieve your professional goals. 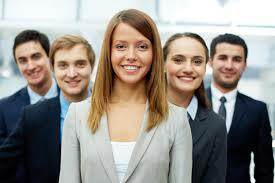 Exceptional Voice, Inc. is uniquely positioned to provide you with the professional communication skills to launch you into the winners’ circle and rocket your career into the 21st century.